As elections to the 17th Indian Parliament officially starts today with first phase of voting to the 91 lok sabha constituencies, anxiety, distress and fear are gripping the majority of the countrymen who are economically, socially and politically concerned. 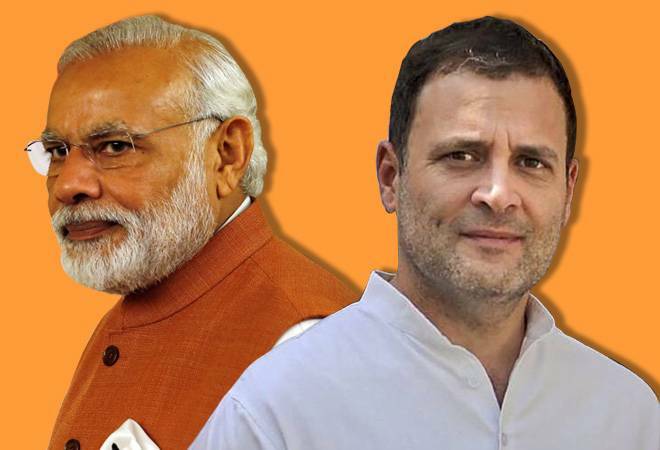 Which party will win more number of seats and who will become the next prime minister of India? The rapid heart beat of most Indians were loud and audible like drum sound during the past 5 years when the great constitution and all the institutions of India were in a highly dangerous situation and the mother India was helplessly weeping under the dictatorship of Narendra Modi - Amit Shah trio. The present free India is the result of the great sacrifices made by many great selfless souls. Numerous people across the length and breadth of the country had given up their comfort, property, valuables and even lives for the sake of the country and its people. They belonged to different religions and castes. They hailed from different regions of the land. Even some foreigners contributed greatly in India's freedom struggle by participating, guiding and backing our fights for independence. The free India in 1947 was not in the present state. There were many monstrous challenges in front of infant India. But thanks to the efficiency, sincerity, dedication and honesty of our great former heroes, the country could solve all the problems one by one and emerge as one of the most developed super powers of the world. Today India - the largest democracy in the world - is second to none in most fields. All the former prime ministers and their governments until 2014 deserve heartfelt gratitude and respect for their valuable contributions from each and every person who loves the country. But the BJP government that formed in 2014 with huge promises with Narendra Modi as the prime minister, has proved as a disastrous one for the country and utterly disappointed the people of the country. As Modi had a different agenda to fulfill at the cost of the country's future, many of his implementations affected the country adversely. However Modi repeatedly claimed and widely advertised that the present development of the country is a result of his personal work even though the fact is that it is the fruit of the efforts of the previous visionaries. Modi's rule in India is considered by most people as a dark age. Modi is accused of trying to make India 'a Republic of hate'. Modi is termed as a 'prime minister of intolerance' by the international community. India's prime minister Narendra Modi is a talented demagogue who can deliver attractive speeches and easily deceive and manipulate innocent people. His special 'selling' skill is applied in false self promotion and mean publicity. There are apparently a group of big sharks behind him (who are hugely benefited by his monstrous scams) to run his publicity campaigns. Even though the majority of people in the country are against Modi's BJP coming to power again, people are of the opinion that Modi and group will exploit the present political situation prevailing in the country and use all their resources to regain power. The world has been witnessing how Modi is using all the top institutions in India to scare and make his criticizers shut their mouths. People believe that Narendra Modi has been blackmailing even top autonomous institutions and even the judiciary to act in his favor. Moreover Modi and Amith Shah have a special skill to buy MPs at huge price or secure them by hook or crook in the event of winning less seats. Narendra Modi also knows well that he will have to pay heavily for all his wrong-doings and hidden scams if some other party forms government in 2019. So people are of the opinion that Modi only will become the prime minister again in 2019 as he is a master in exploiting and manipulating things...! Elections in Thiruvanathapuram Lok Sabha Constituency is one of the most engrossing news item capturing international attention during 2019 parliament polls. It is probably one of the most critical seats in entire India. 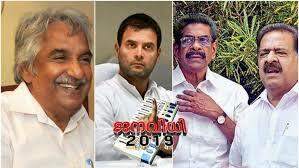 Thiruvananthapuram parliament constituency is going to witness a very tough 'neck and neck' triangular fight this time. The candidates representing all the three main fronts viz. the UDF, the LDF and the NDA are mass leaders with substantial following. A thinker, writer, eloquent speaker and a former international diplomat who is also serving as the sitting MP of the constituency. 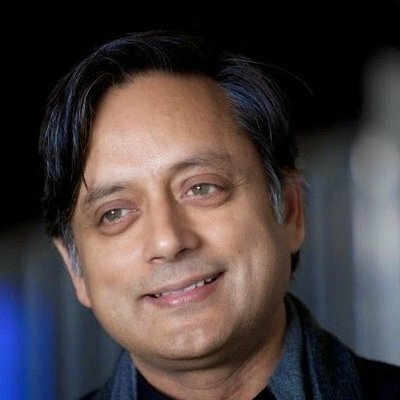 As he is a person with a cosmopolitan outlook, he is a powerful spoke man for the pillars of the Indian constitution like Democracy, Secularism and Socialism. He is seen as a peck in the eyes of Modi's BJP government as he engages in frequent criticism of the Government's bad policies. He is a state executive member of CPI and the National Working committee member of All India Trade Union Congress (AITUC). 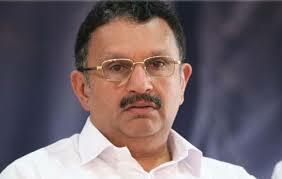 He served as the minister of food in the previous LDF ministry. He is considered as a clean communist leader with wide acceptance. 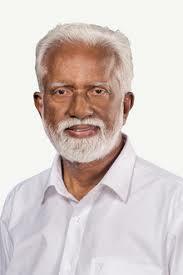 He has the support of the state government and leadership including CM Pinarayi Vijayan and LDF leaders. He was asked to resign his Governor's post in Mizoram to contest in Thiruvanathapuram seat. Most popular leader in the NDA in Kerala. Though he began his political entry into BJP by being a fierce Hindu Aikya Vedi activist, as he is very humble, simple and maintains cordial relationship with all Religions in the state, he is accepted by many. He is being supported in the polls by the prime minister himself and his associates as it a matter of prestige for the BJP central command to open an account to the parliament from Kerala state. K Muraleedharan vs P Jayarajan: Who will win in Vadakara? Every seat is very crucial during this ongoing lok sabha elections. But victory in some seats are very vital for one of the fronts. Among the ensuing Lok Sabha Elections 2019 in Kerala, Vatakara parliament constituency is one of the most critical ones. 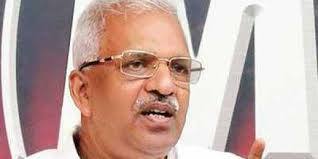 The LDF has announced well in advance the candidature of P Jayarajan one of the most followed leader of the CPI(M) in northern Kerala. 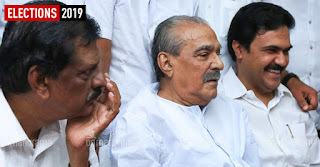 And as the sitting Congress MP Mullappally Ramachandran (who is at present the KPCC president) has refused to contest, the UDF was in a dilemma to find and field a candidate who would be an apposite one to fight against this LDF strong man. The UDF as usual after holding many group discussions for many days, could succeed finally to get the consent of K Muraleedharan to contest from Vatakara against P Jayarajan. With the entry of Muraleedharan, the scenario has completely changed and Vadakara Constituency has become one of the hottest parliament constituencies in Kerala to have toughest poll battle. Even though the repeated occurrences of criminal cases in Kerala involving Communist leaders and activists is a big blow for the party, it is confident of winning at least some seats including Vatakara as it is ruling the state. And the UDF has been making the violence of the CPM as its main poll topic which they are hoping to get some benefit. Who will become Vadakara M P ? It will be decided by the voters of this constituency and will be clear in 2 months. However readers of this blog may post below their opinions about this article. The dirty and shameless group war in the Congress Party in Kerala has emerged once again after a small nap. The group leaders have once again proved that the interest of the party or the people or the nation are not above their groups. Whether their candidates win or lose, they are adamant in their stance and refuse to budge even an inch. The people of Kerala (particularly the average ones without any political inclination) are 'between the devil and the deep sea'! On one side they are witnessing a government which keeps a closed eye on the growing number of violence and goondaism by their party men and activists even under their nose. People are fed up with the way how the CPM activists and sympathizers are doing in the state since they came to power 1000 days ago. Young students beating their teachers, college students disrespecting their principal, youth activists manhandling police officers in public, top officers being served warnings for entering their party office in search of hiding criminals (on tip off), coldblooded political murders, land scams, police being made helpless in various cases where CPI (M) people are involved, etc are some of the kind of news one hears in Kerala the present-days. Even though the present LDF government accounted for lesser corruption compared to the previous UDF government, they cannot be given clean chit as 'corruption-free' as they tried for the huge distillery and brewery scam which the UDF unearthed and foiled. They also tried their best to protect all the leaders like ex Minister Thomas Chandy and Devikulam MLA S Rajendran who were caught red-handed in land encroachment cases. Though most people consider that the Communist parties are more secular in nature, the Kerala government's recent stand on matters related to faith issues like 'Sabarimala', not contemning or withdrawing the controversial article published about 'Confession' in Vijnana Kairali, intention to implement 'Church Bill' etc has been distancing them from the faithful. Whom to choose and cast vote for in this election? It is a big question for the normal Malayali voter, as those who already have some political affiliations will vote for their parties and candidates...! But the deciding factor normally is vested with the non-partisan voters. If parties and candidates remember it, it will be good. The announcement of the Kerala Congress (M) party chairman K M Mani to field Thomas Chazhikkadan as the UDF candidate for the Kottayam Lok Sabha seat has not only disappointed the Joseph group in the party but also the entire political scenario in the state. Despite the party's working president P J Joseph beseeching the party and front for the seat for quite long, after making to wait for a long time KC (M) chairman made an official announcement in this regard last night preferring Thomas Chazhikkadan (who lost in Ettumanur constituency during the previous Assembly elections) to veteran and clean politician P J Joseph to contest from Kottayam lok sabha constituency, according to the conspiracy of the Jose K Mani faction. This announcement was a brutal blow, humiliation and insult to P J Joseph and his K C (J) group without any doubt; at the same time, it has degraded the already damaged image of Kerala Congress (M) party in general and Jose K Mani in particular which has been facing controversial accusations. It has also created a wave of sympathy and goodwill for P J Joseph from all corners and people. 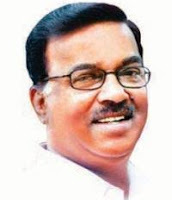 At a very critical time when all the concerned citizens of the country are considering the on going Lok Sabha elections very crucial, it is considered as quite irresponsible for a member of parliament like Jose K Mani to behave selfishly and arrogantly. People of Kottayam lok sabha constituency are already a bit angry with their elected MP Jose K Mani for resigning to the parliament membership before the completion of the term to grab a Rajya Sabha membership. All people are waiting eagerly to see "everything will end smoothly", as P J Joseph has been chanting all these days. The Indian Election Commission has at last declared the poll schedule of the much anticipated 2019 elections to the Indian parliament and to the legislative assemblies of four states. The announcement of schedule and dates by the E C has been receiving wide criticism from many people and political parties except the BJP and its stakeholders. The Election Commission of India is an independent autonomous constitutional authority responsible for administering election processes in India. In the past it has been performing accordingly. But there is wide criticism these days that the government run by Modi in India has been swallowing all the autonomous institutions like the CBI, RBI, etc and the present acts of the ECI also point towards this allegations. At a time when the whole country was mourning the huge loss of life of our brave soldiers, prime minister Modi was busy conducting election rallies and announcing poll promises and welfare sops before the declaration of the election schedule and 'model code of conduct' came into effect. The Loksabha elections will be held in 7 lengthy phases across the country. Voting in the country will commence on April 11 and end on May 19. The counting of votes will take place on May 23. Five states in India are also going to elect a new government in 2019. They are Andhra Pradesh, Arunachal Pradesh, Jammu and Kashmir Odisha (Orissa) and Sikkim. Out of these, elections are announced in all the 4 states except Jammu and Kashmir. Medjugorje was a small, ordinary and insignificant village in Bosnia and Herzegovina in the eastern Europe until 1981. Since Blessed Virgin Mother Mary granted her historical apparition to 6 children on the Apparition Hill on 24th June 1981, it has started gaining popularity despite strong oppression and suppression by the then government and gradually became a center of Catholic Marian pilgrimage in these years. According to the available statistics, about 50 million people of different faiths from around the world have already visited this place and hundreds of thousands continue to make pilgrimage to this Holy 'land between mountains' every year even though the Catholic Church is yet to recognize and declare it officially a Global Marian Pilgrim Center (which is anticipated to happen in the near future). Madjugorje is the only place in the world where the Holy Mother continues to give her sacred apparitions and Messages in a fixed schedule every day/month for decades. There is a “Queen of Peace” statue at the first apparition site and another one in front of the St. James Church. Liquid has been found to drip miraculously from the statue of the “Risen Christ” near the Church. Consoling presence of Mother Mary (in disguise) and lingering fragrance is considered as the biggest miracle felt by most people who visited those places. As numerous devotees and non devotees who visited Madjugorje reported occurrence of countless physical, mental and spiritual miracles in Mejjugory through Majjugory Matha, more and more people from countries like India are showing their desire to make a holy expedition to this blessed land. In order to facilitate the aspiring pilgrims to help process visa and other travel documents, the government of Bosnia-Herzegovina has officially chosen Indian's leading and reputed travel agents at Kochi by name 'International Associates' (Tours and Holidays) managed by Somasekharan K V as their official agents and accorded them authorization to deal with all necessary travel documents to visit Bosnia. Opening a recognized service center in Kerala's centrally located metro city Ernakulam is highly advantageous not only for the people of Kerala, but also those belonging to the South Indian states like Tamil Nadu, Andhra Pradesh, Telengana and Karnataka to plan and get processed all their travel needs in a hassle-free way and for getting all related guidance and technical support. This great and remarkable initiative is the brain child of an NRI Business man by name Prince Cheriyavadayail who is the Managing Director of a reputed company in UAE namely GEFS who has also been socially and spiritually vibrant. Get Paid for Your Opinions..!